We believe that a great kitchen design is a combination of form, function and your personal expression. Before beginning the kitchen design, we take the time to understand your intentions for the home. Are you fixing it up to sell or creating a kitchen that you will enjoy indefinitely. When developing your kitchen design, we want to find out which elements are most important to you. We will begin with a discussion focused on functionality. Will this be a single cook kitchen or do we need to design the kitchen to accommodate multiple cooks working together? Do you want to be able to see the TV and your kids while at the sink? Do you want family members and guests to be able eat at the island? How much entertaining do you do? We want to understand what your current lifestyle is like and help you forecast what your future needs might be. We are not only designing for your life today, but also what your life might look like 10 years from now. We will evaluate the opportunities and limitations of the existing space. We will explore combining the kitchen with adjoining spaces or even adding additional space to the home if necessary. 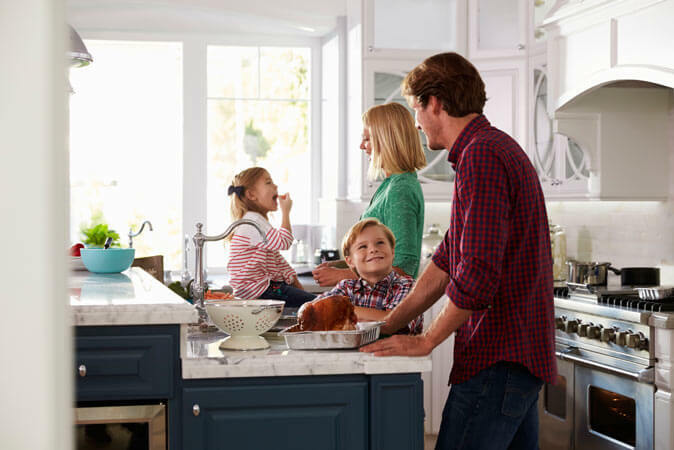 This is just the beginning of getting to know you and your home so we can design a kitchen that fits you and your family’s needs.